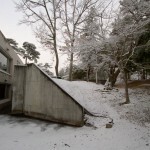 I woke up to a beautiful snow fall this morning as well. 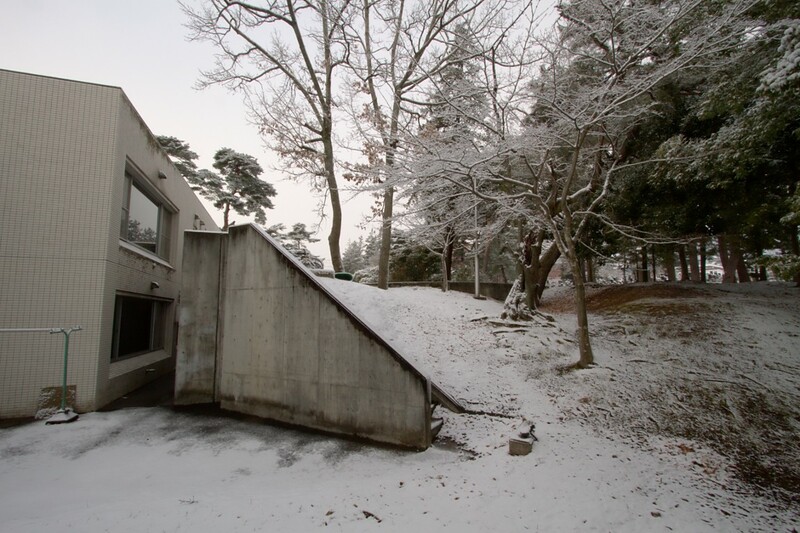 It wasn’t very deep, but it was very even, covering everything with a homogeneous layer of white and leaving a very nice dusting in all the trees. 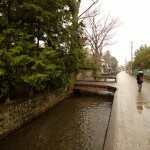 The view from the bus as it drove along the Hirose river and the suburbs of Sendai was absolutely amazing. 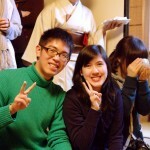 Unfortunately, I was not in an ideal position to take any pictures. I will have to be vigilant in the mornings from now on and go out on a snow picture taking expedition nice and early the next time there is snow this nice. 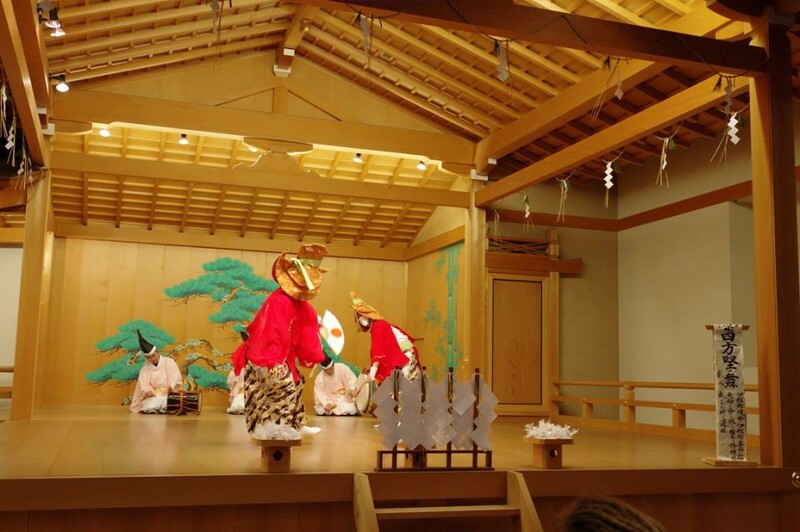 After a longish bus ride down the highway, we stopped in Shiroishi to visit the Hekisui-en (碧水園) Noh theater and tea house. 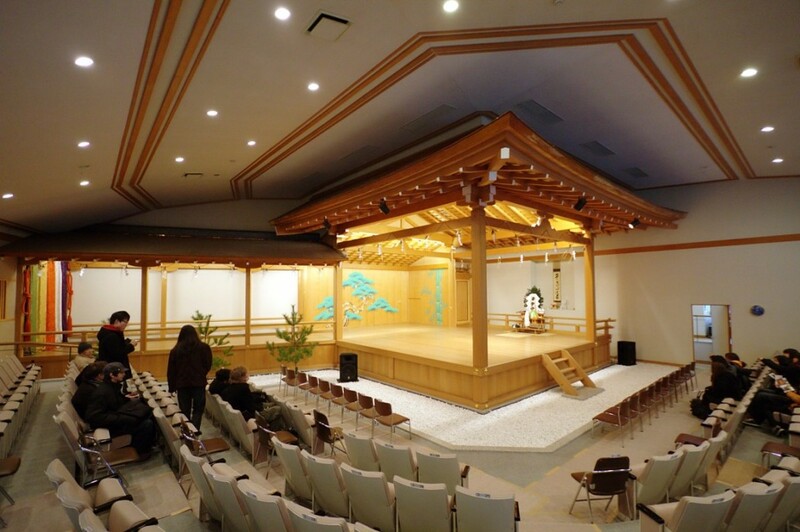 The sign on the building says 白石市古典芸能伝承の館 shiroishi-shi koten geinou denshou no kan, or “The Shiroishi City Building for the Tradition of Classical Theater.” It is a combination Noh theater (能楽堂 nou gaku dou) and traditional tea room (茶室 chashitsu). 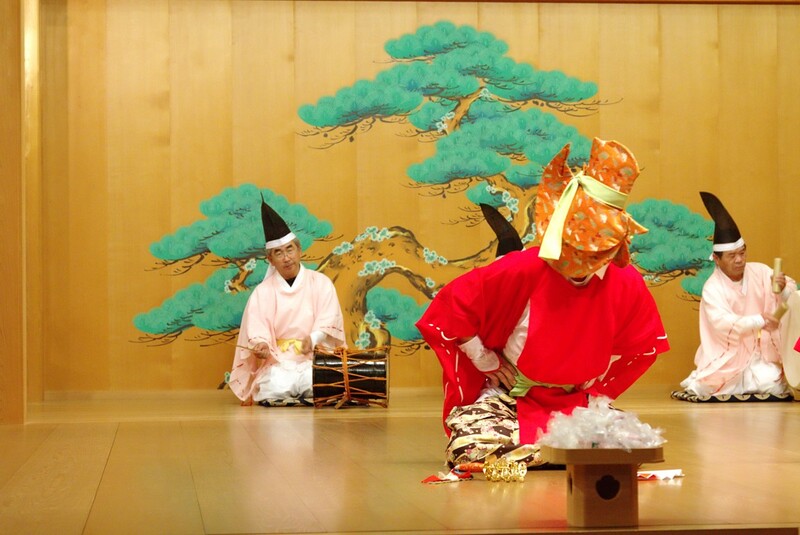 The Hekisui-en Noh theater is a rare community-run Noh theater. 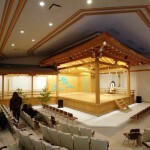 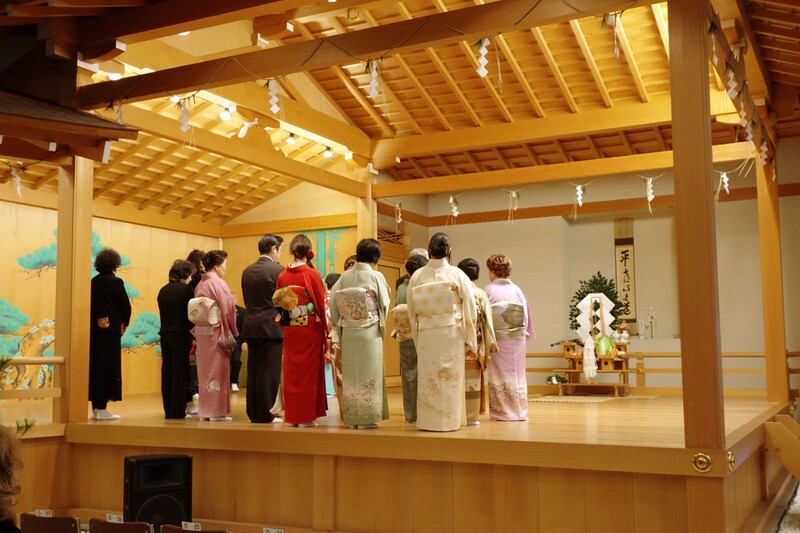 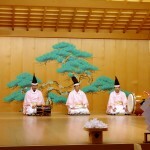 The theater has an authentic Noh stage where performers form the Shiroishi community perform. 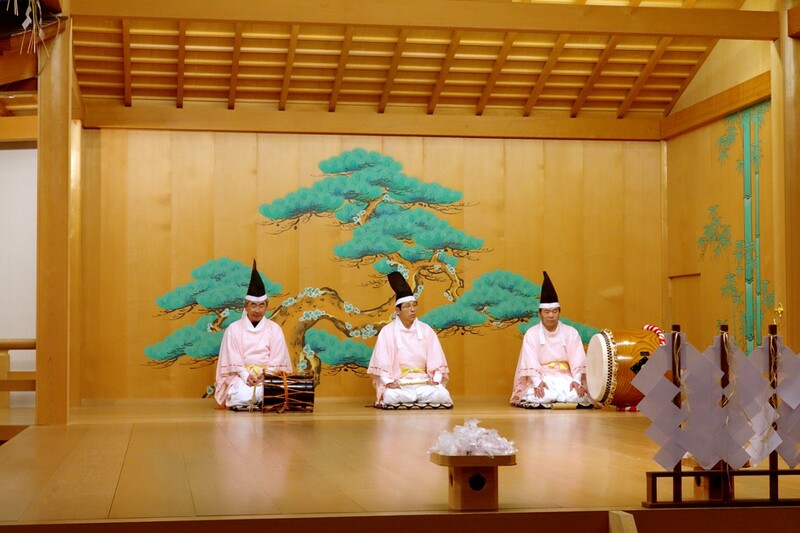 Yesterday was actually the first performance of the year, so an opening ceremony was held to commemorate the start of the new season. 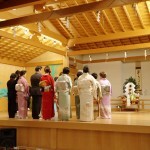 Unfortunately, I was not sitting in the best position to get a good angle of the proceedings. 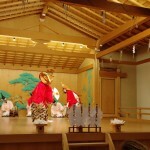 After the opening ceremony, there was a short Noh scene with two dancers dressed in elaborate Noh costumes. 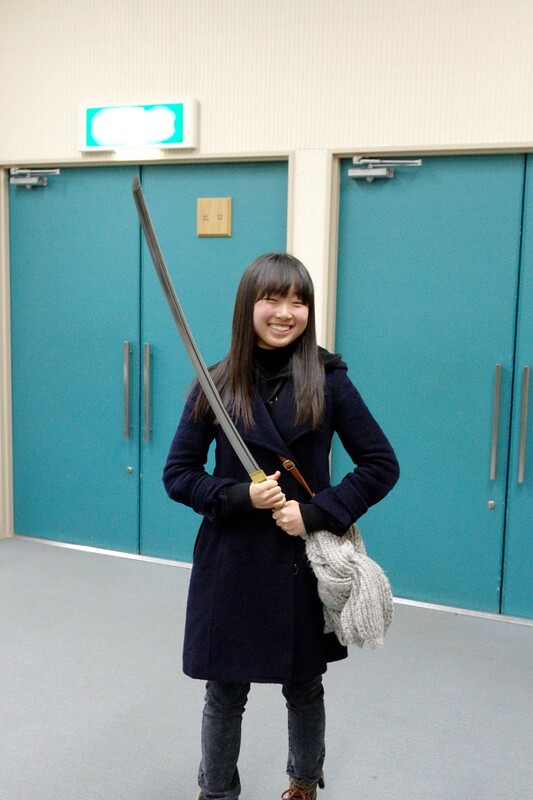 It was a little disappointing since it was only one scene, but still very cool to see nonetheless. 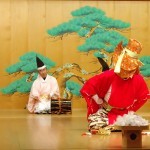 Afterwards, they threw pieces of Mochi out into the audience as another component of the new year’s celebration. 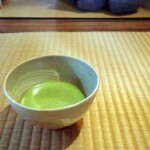 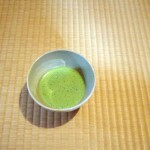 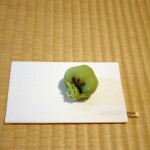 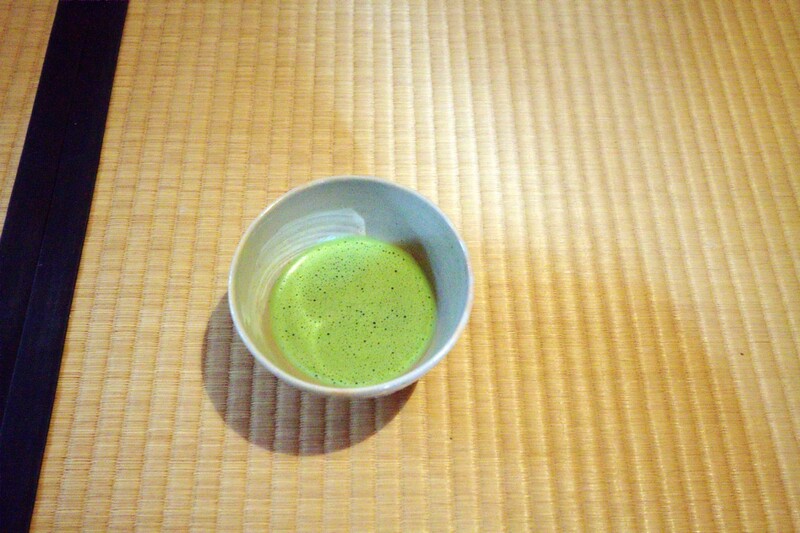 After that was the tea ceremony where everyone got to try some traditional Japanese sweets and tea made from Matcha. 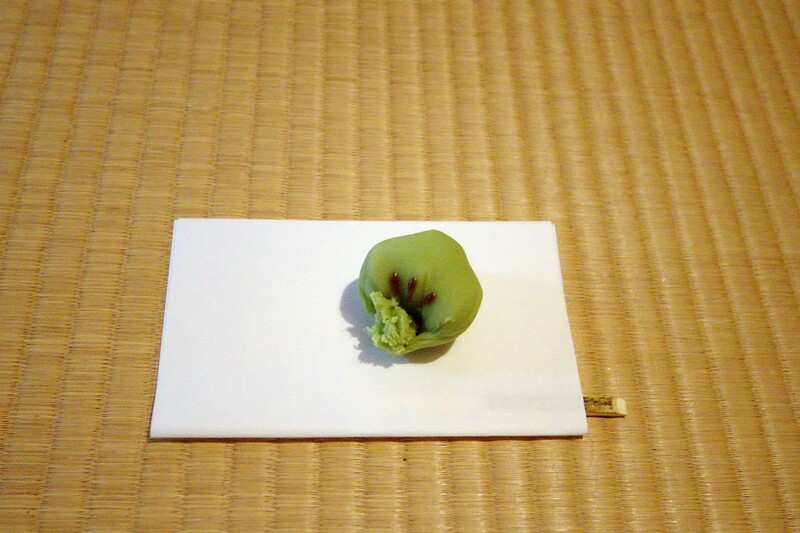 First up is a traditional kashi (菓子 pastry), a sweet to go along with the tea. 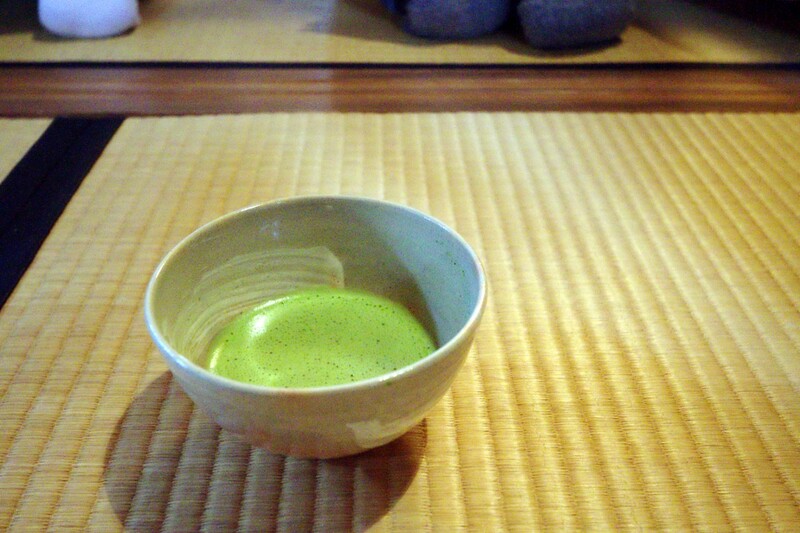 Next comes the tea itself, nicely mixed into a froth. 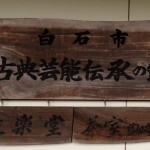 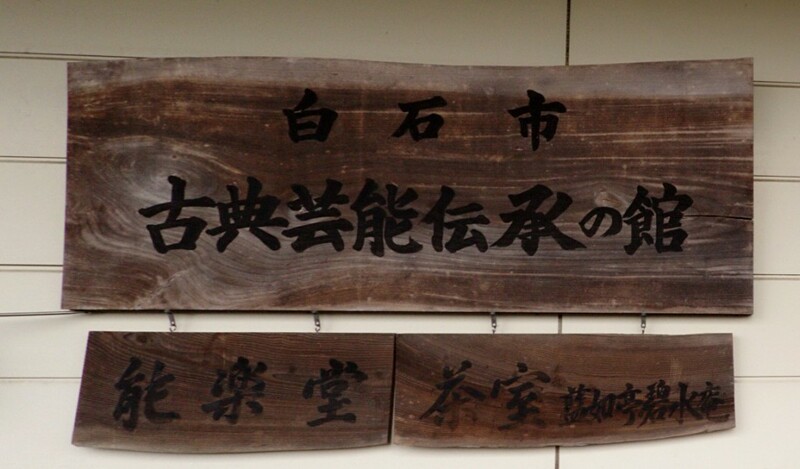 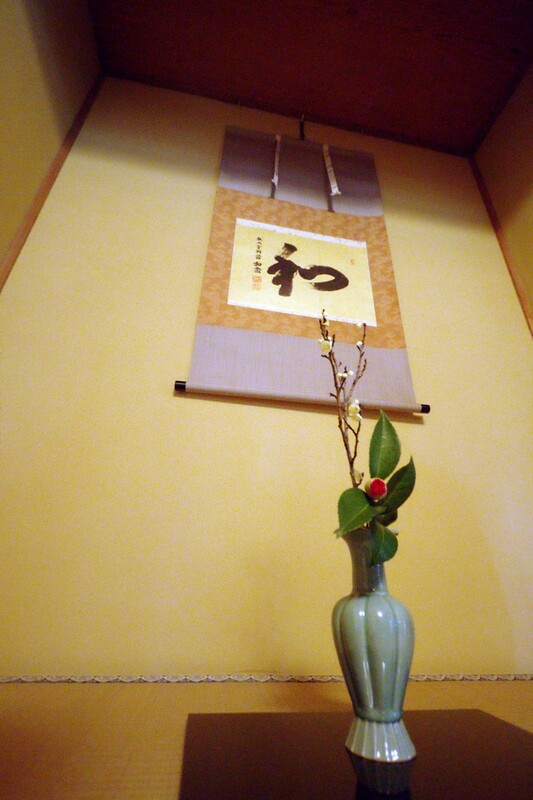 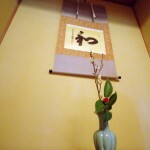 After walking around downtown Shiroishi for a little while, we went to an Umen restaurant in Shiroishi. 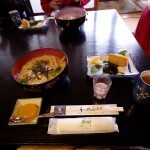 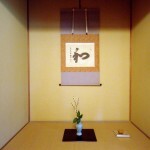 Umen (温麺) is a type of short Somen (素麺), a thin Japanese noodle. 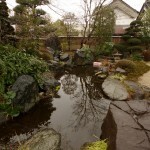 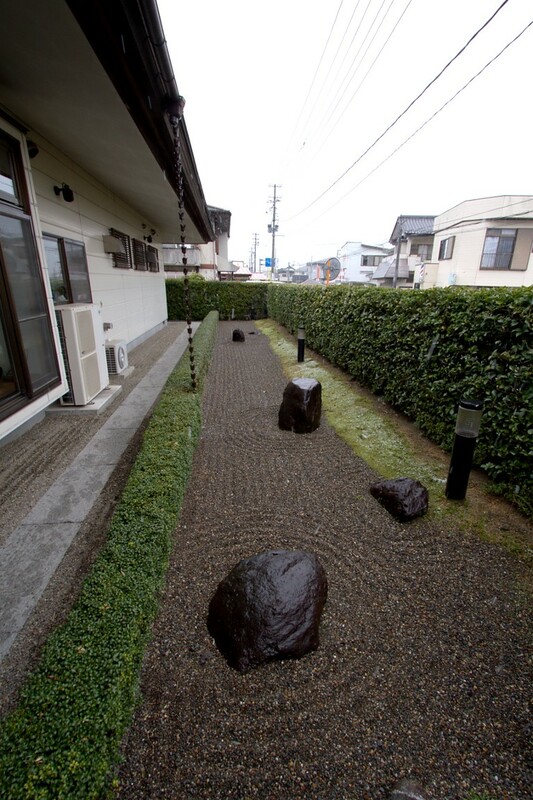 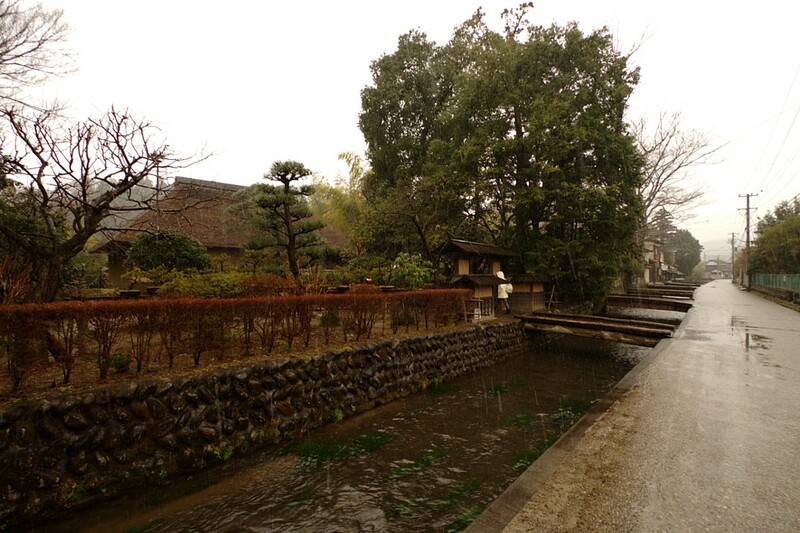 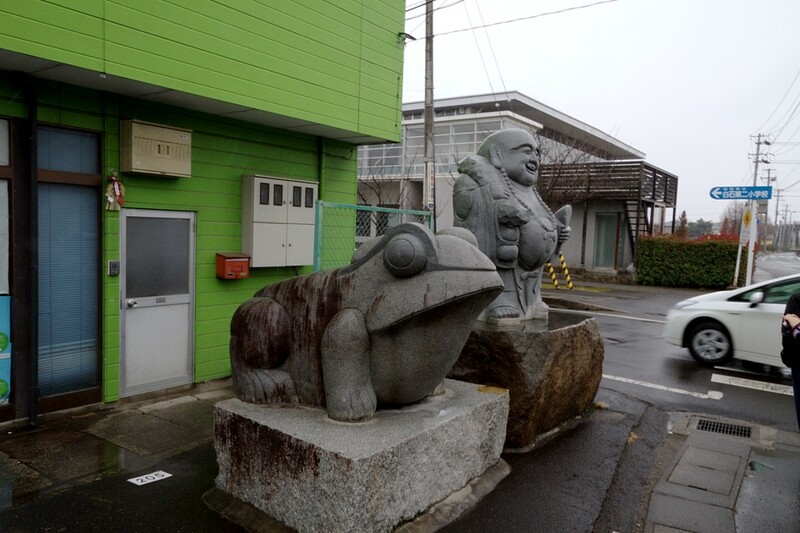 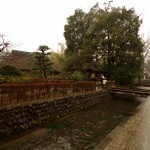 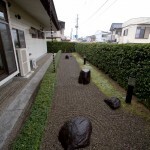 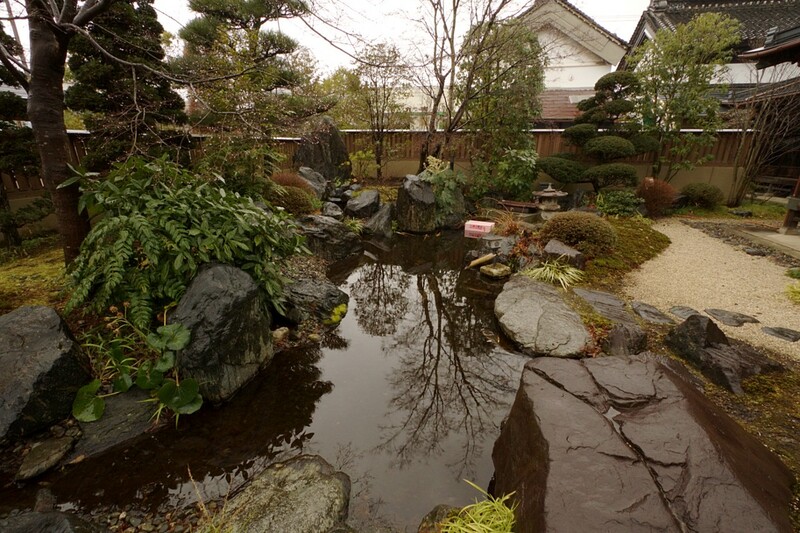 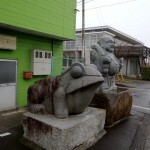 Umen was created in Shiroishi in the beginning of the Edo period. 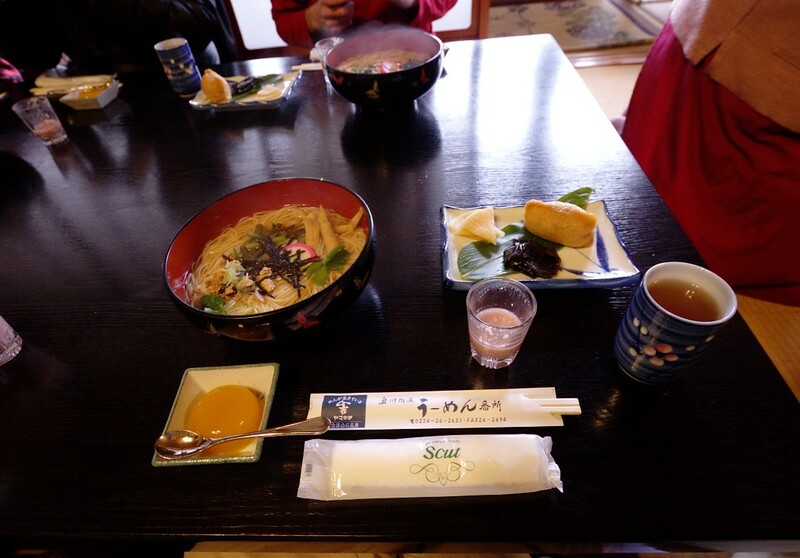 The meal was quite delicious! 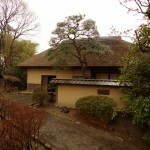 After lunch, we visited an old Samurai house. 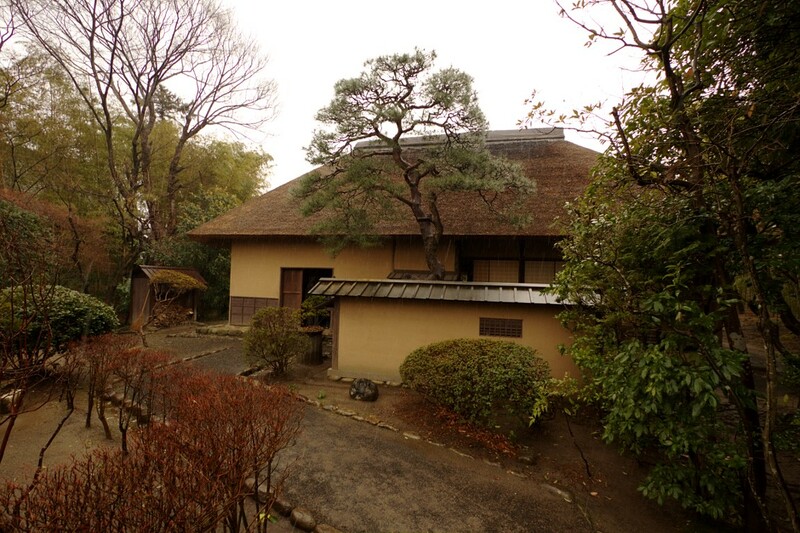 This house is actually an original, preserved in its original state. 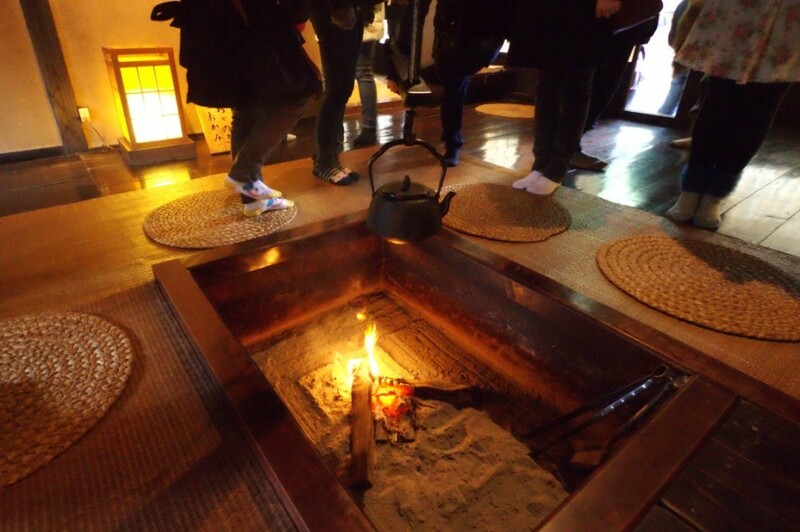 They have to keep a fire burning at all times since the smoke helps keep the roof from rotting. 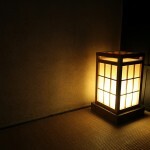 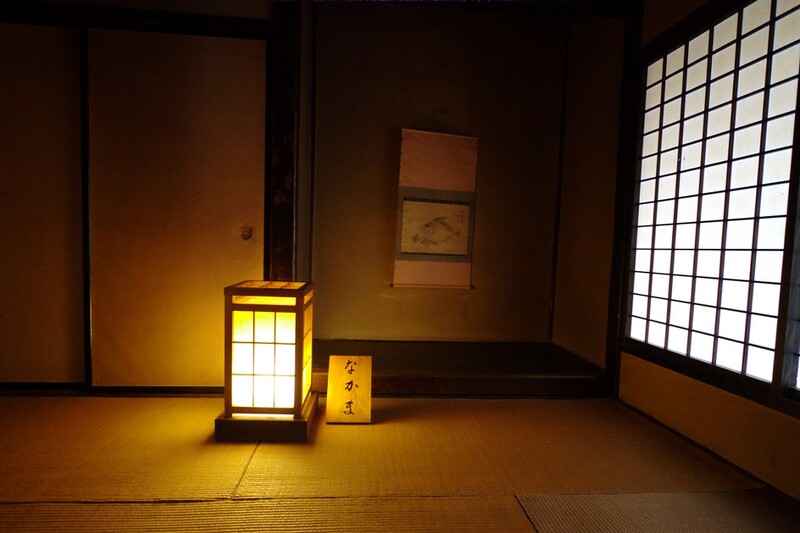 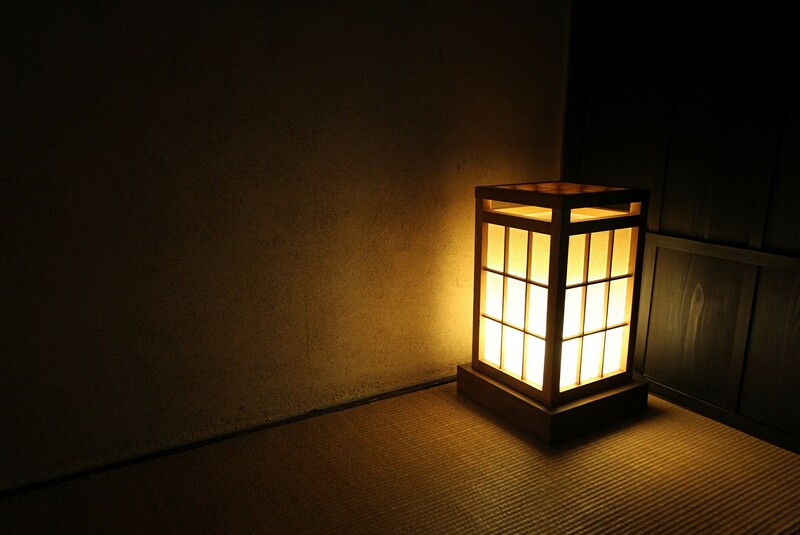 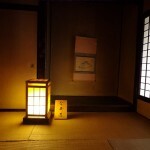 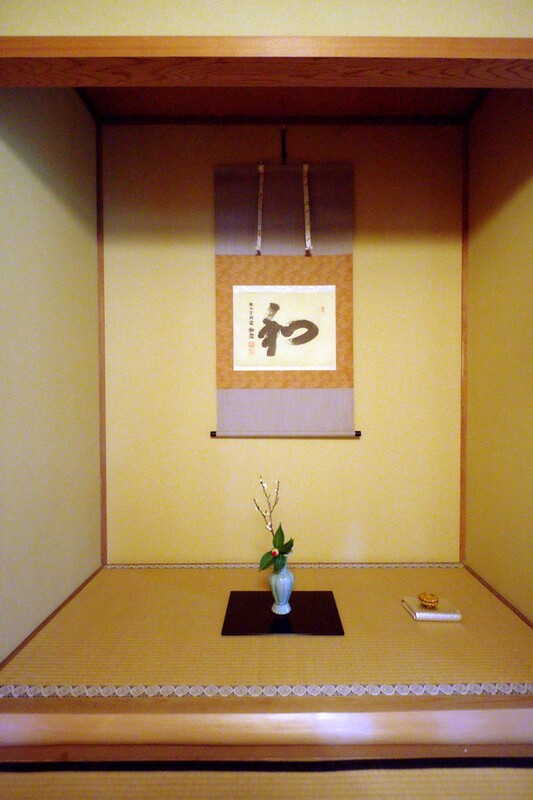 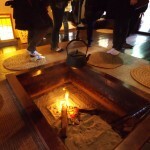 The place was lit with some very nice andon (行灯), a type of Japanese paper-covered lantern. 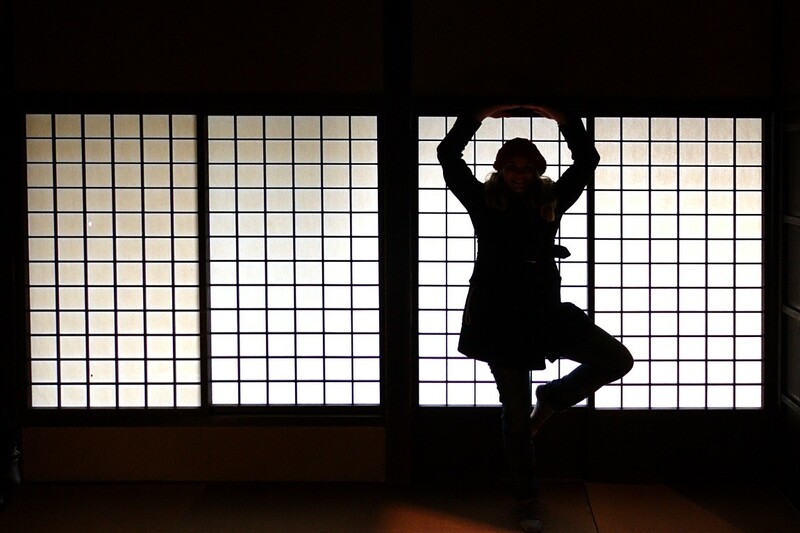 Japanese style paper windows provide a very good background for silhouettes, incidentally. 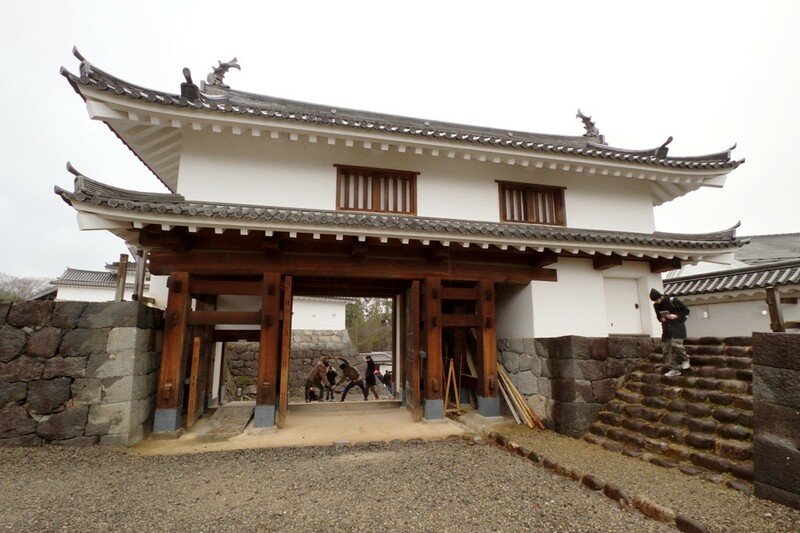 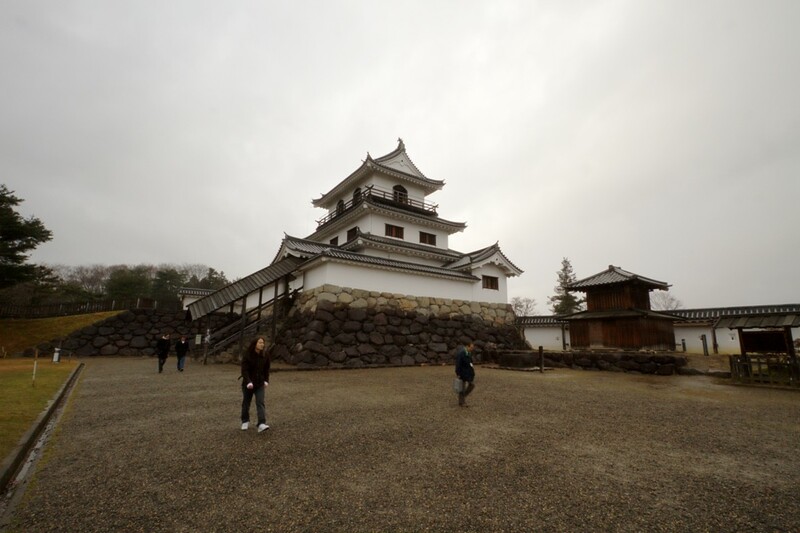 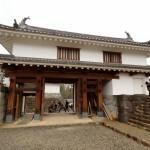 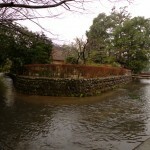 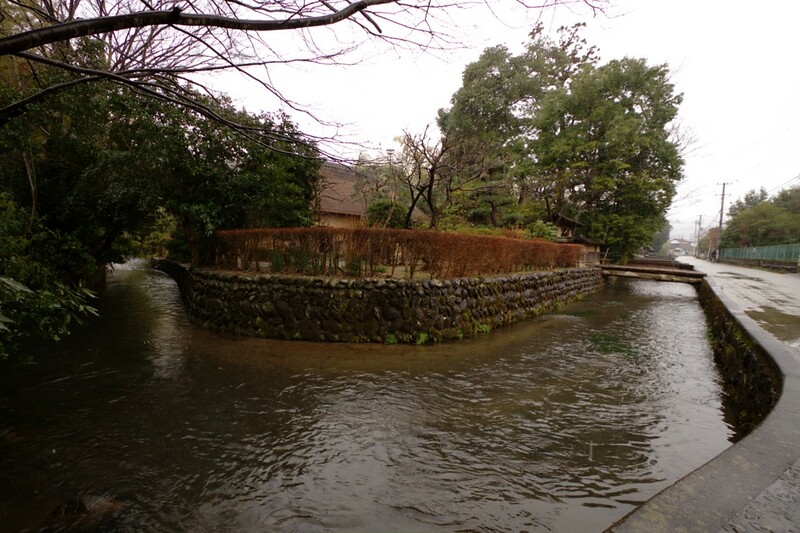 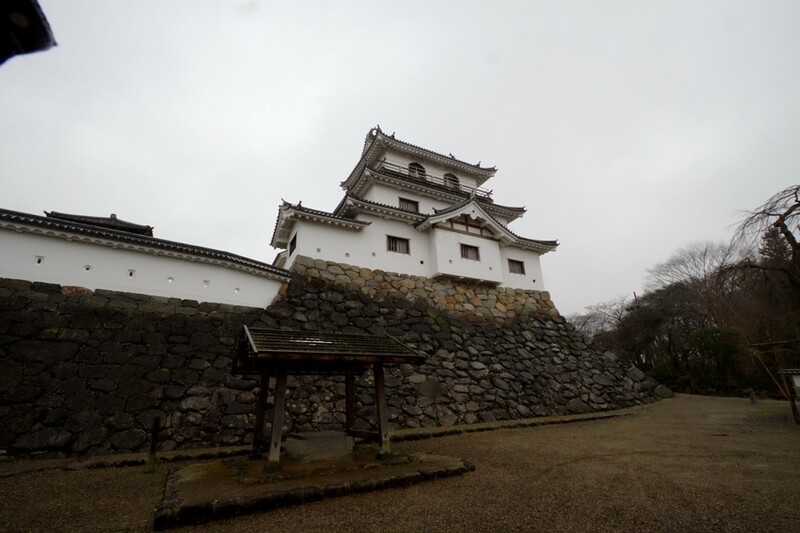 After departing the old Samurai house, we made our way to Shiroishi castle. 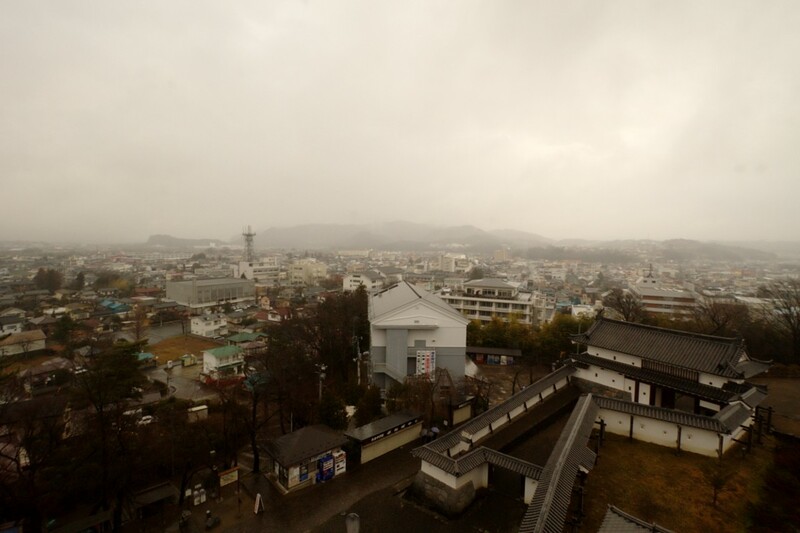 Unfortunately, it wasn’t really the best weather to be taking pictures outdoors. 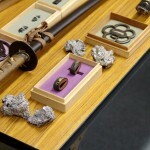 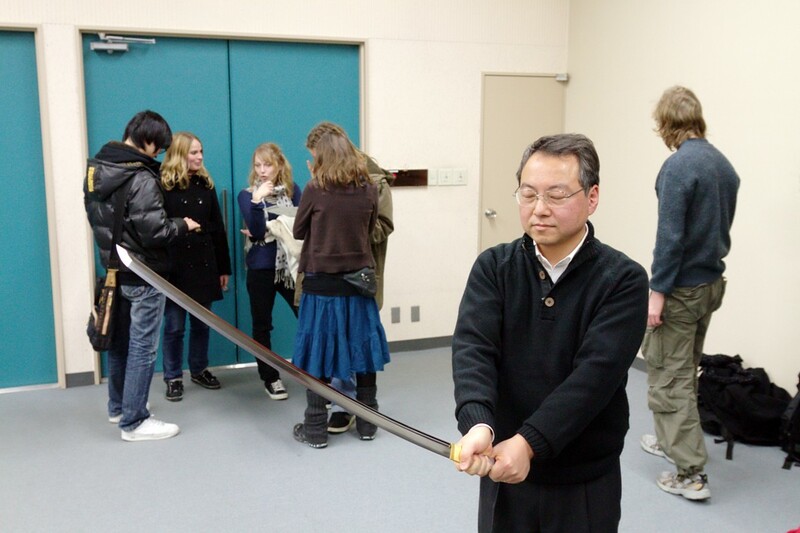 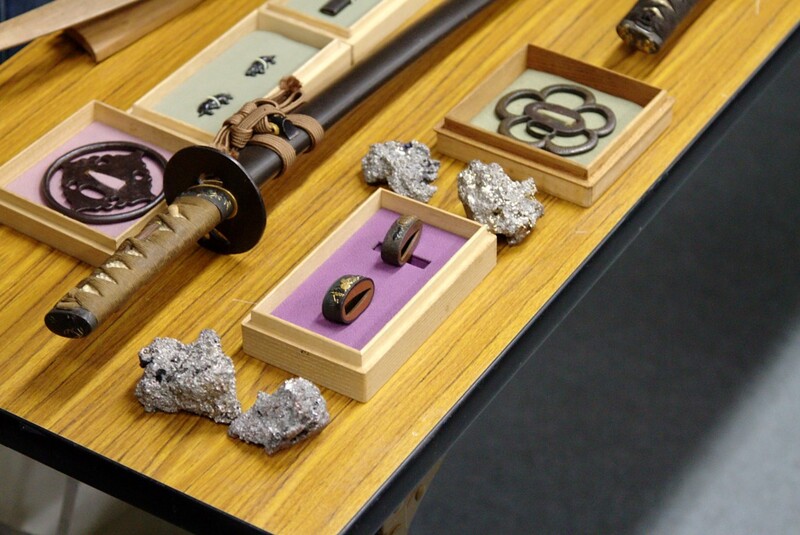 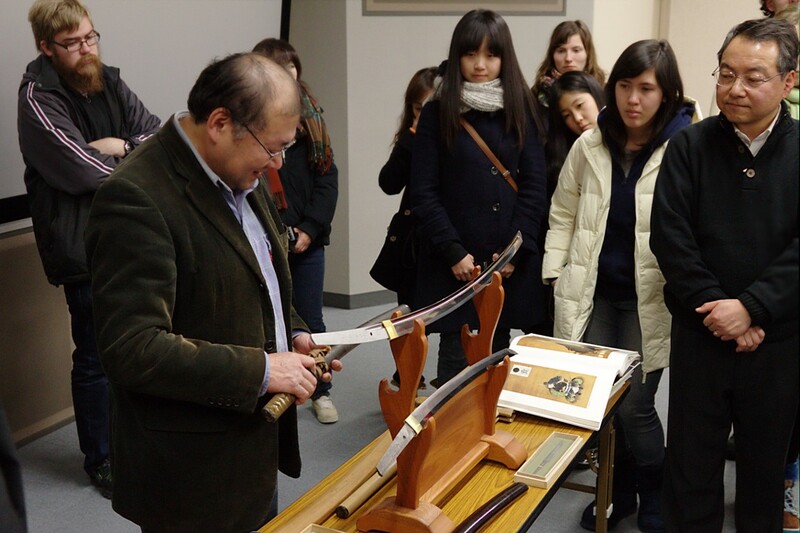 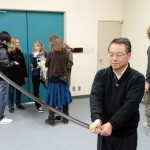 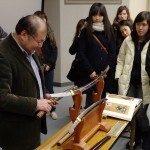 After exploring the castle for a while, we went to the visitor center to see a short film and meet Mr. Miyagi, one of the few remaining katanasmiths in Japan who make katana (刀) using traditional techniques. 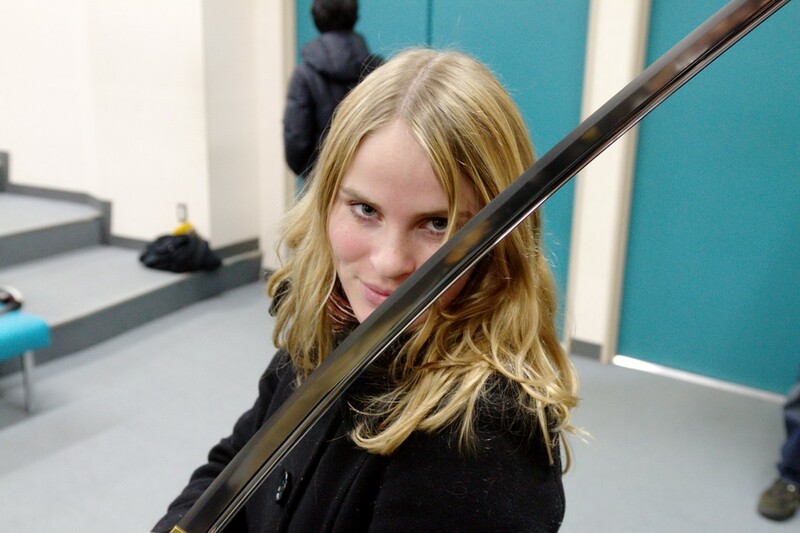 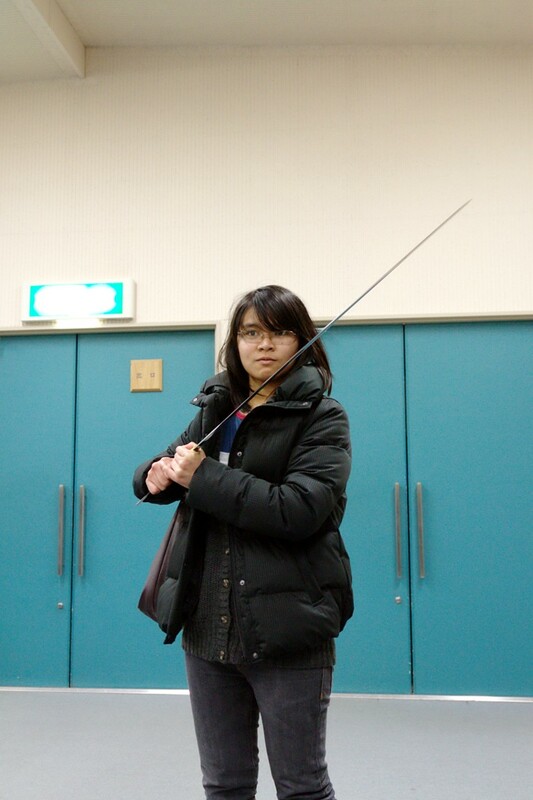 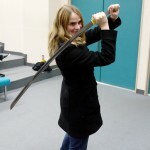 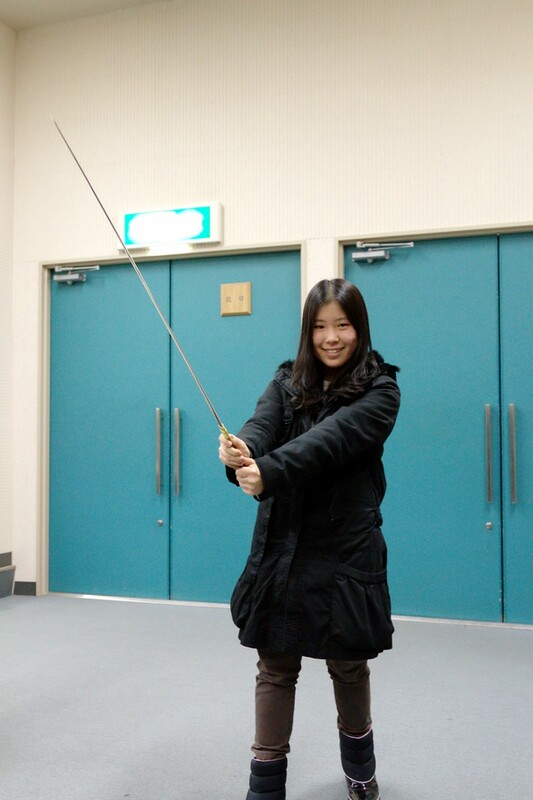 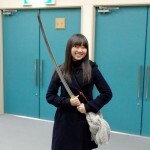 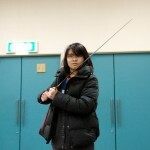 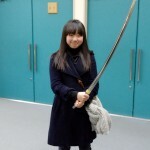 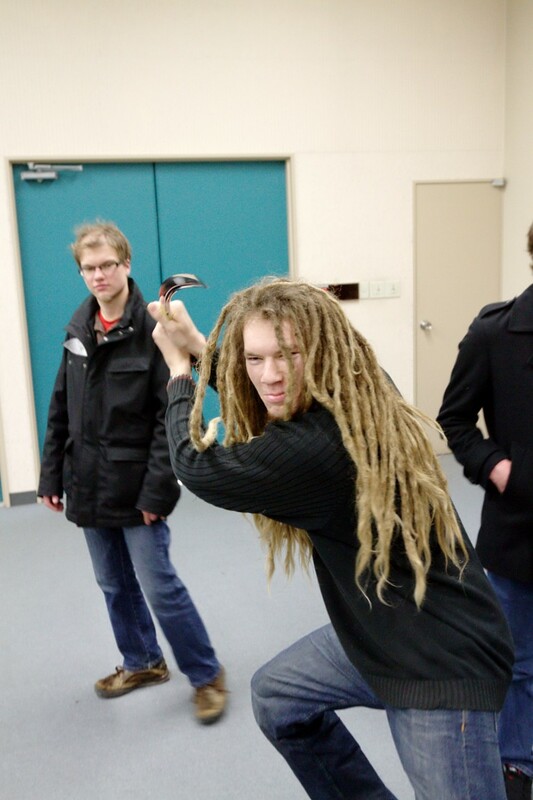 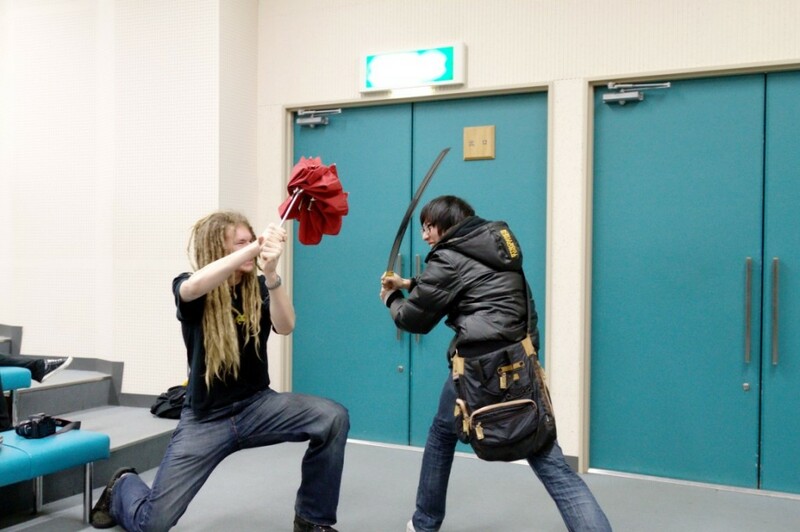 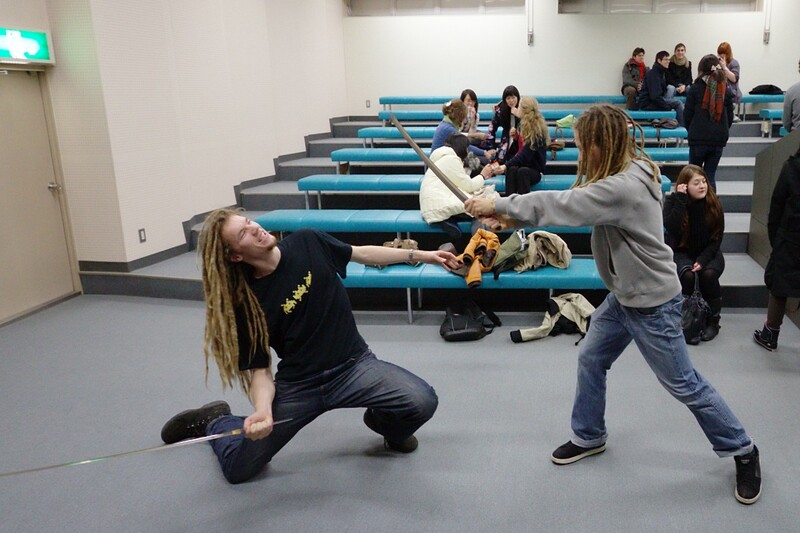 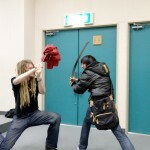 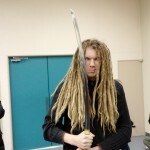 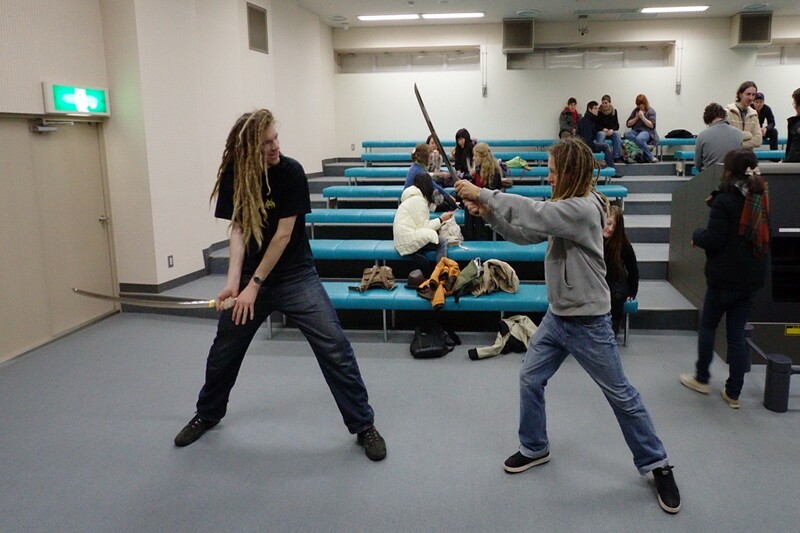 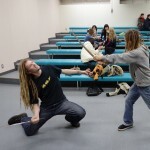 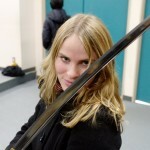 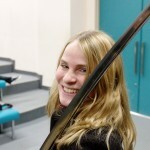 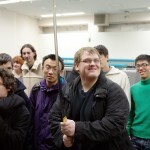 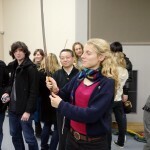 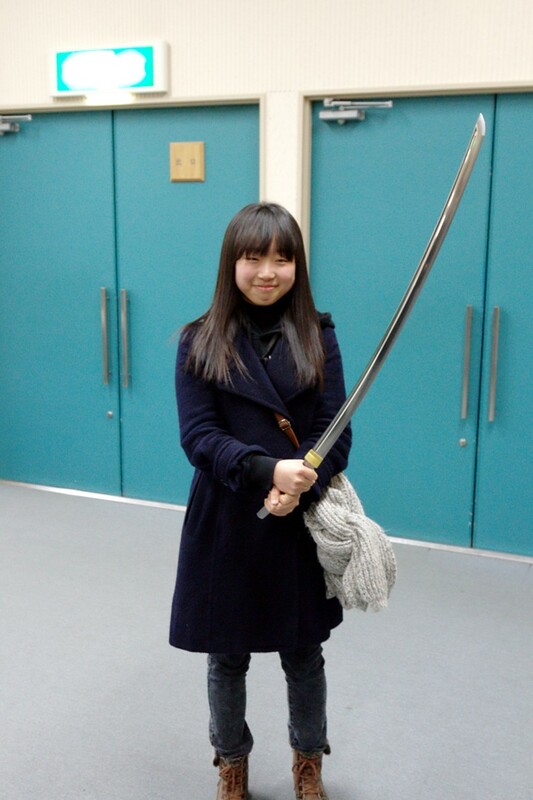 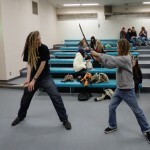 I don’t know how effective countering a katana strike with a kasa (傘, umbrella) would be…. 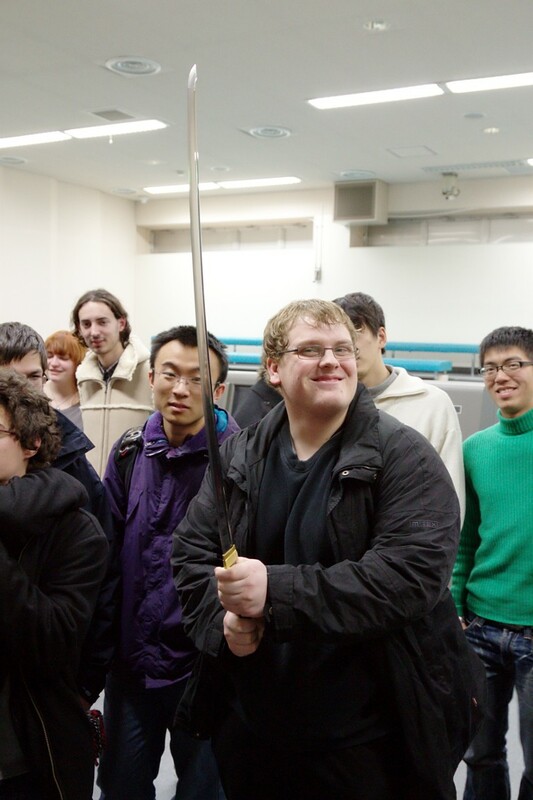 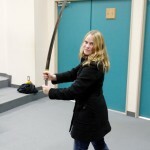 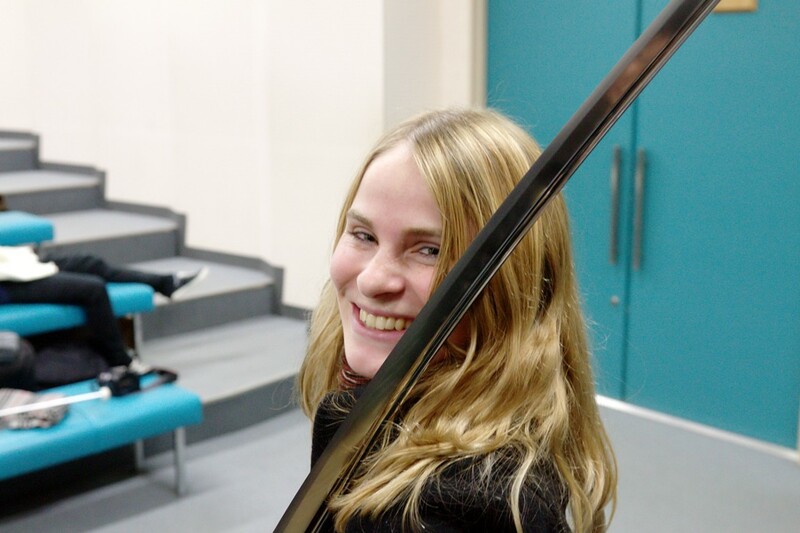 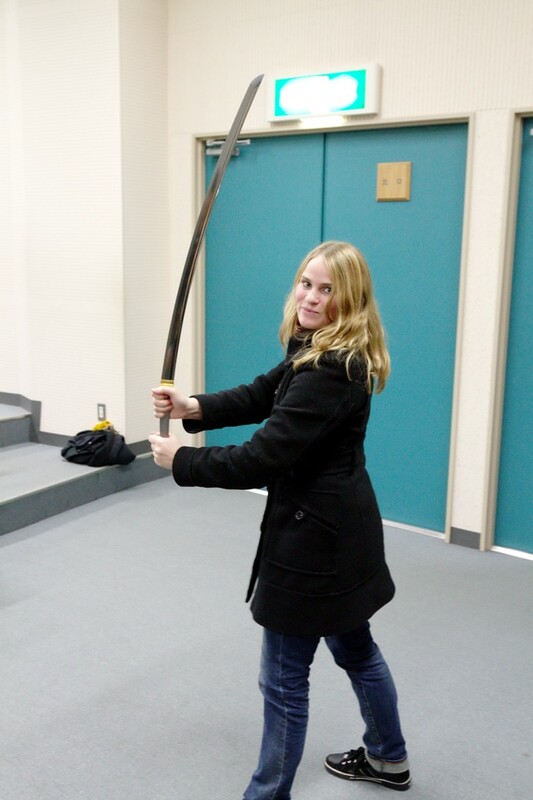 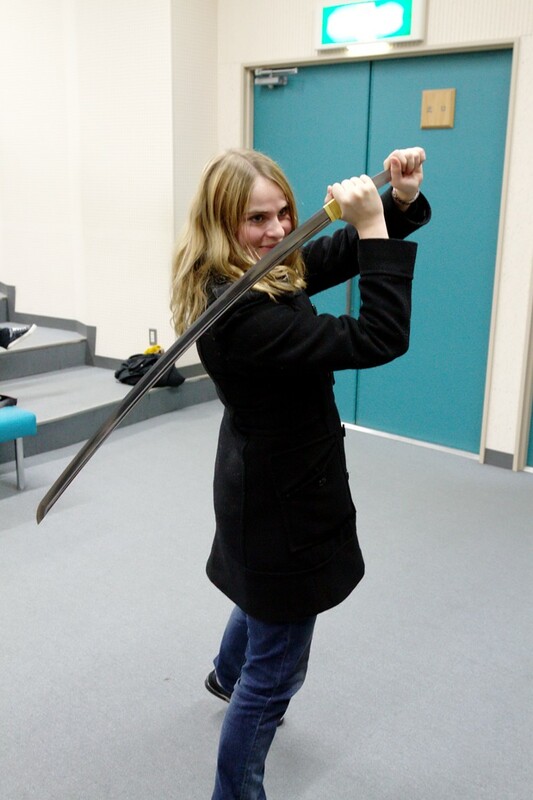 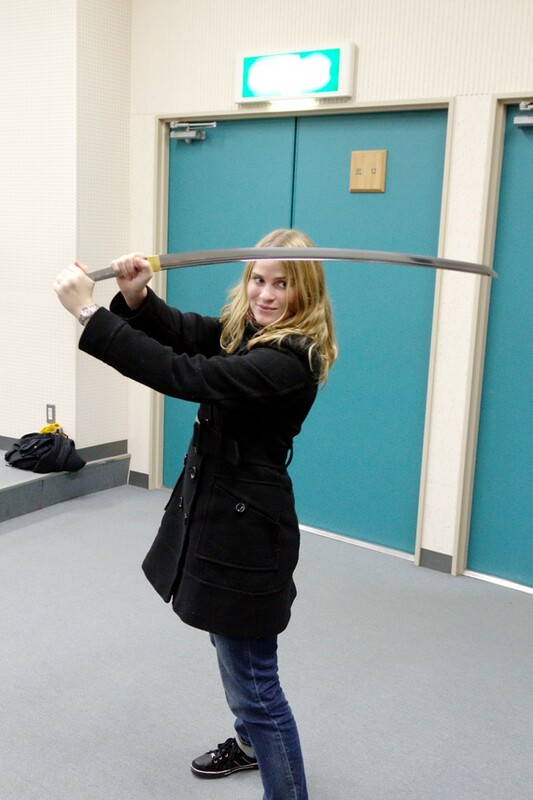 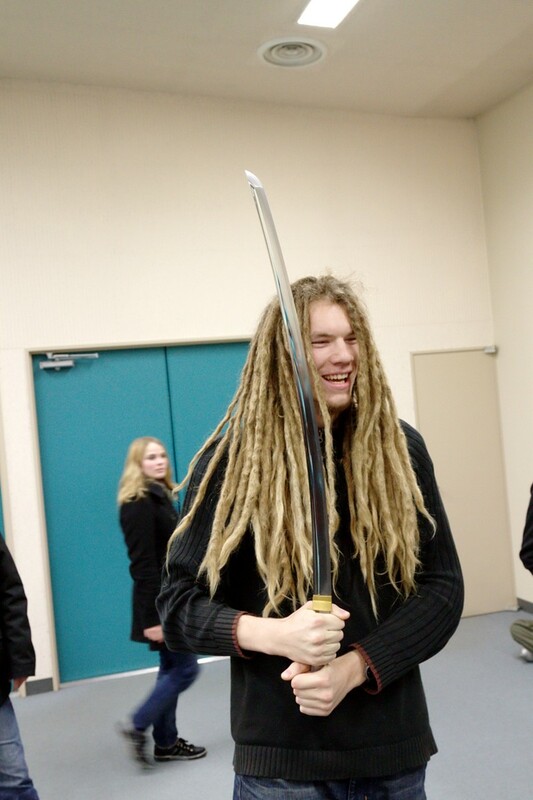 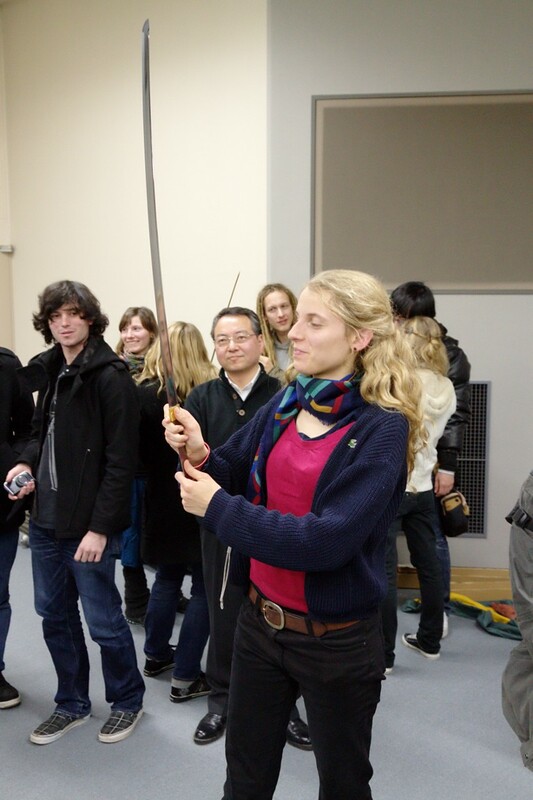 By the time we were done admiring the katana, it was time to head back to the International House for a good night’s rest. 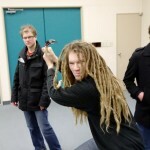 Great shots Alex! 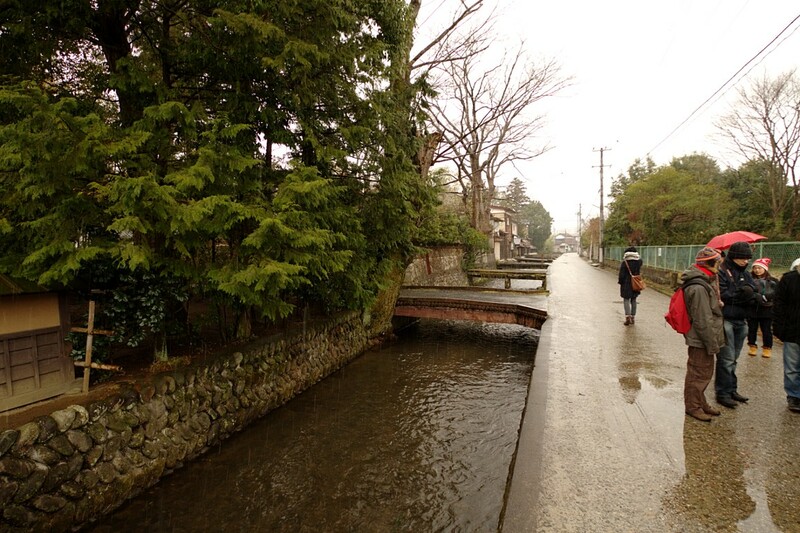 Particularly nice compositions on some of the shots. 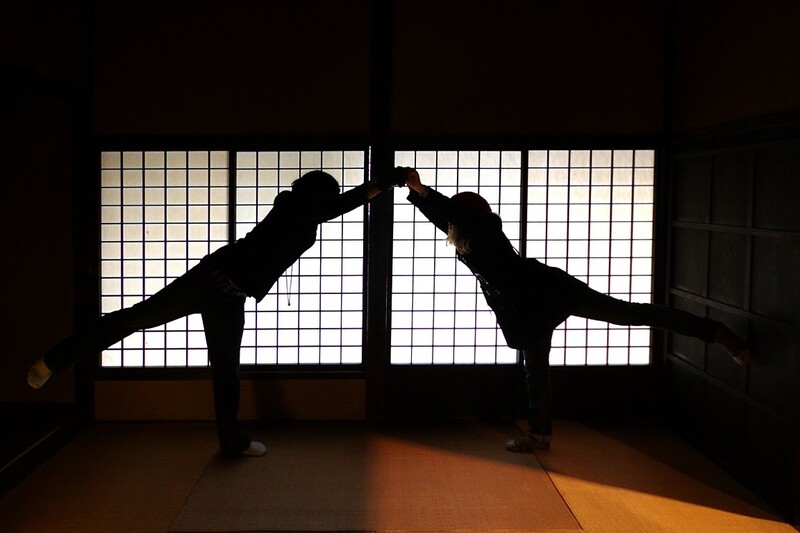 Love the silhouettes! 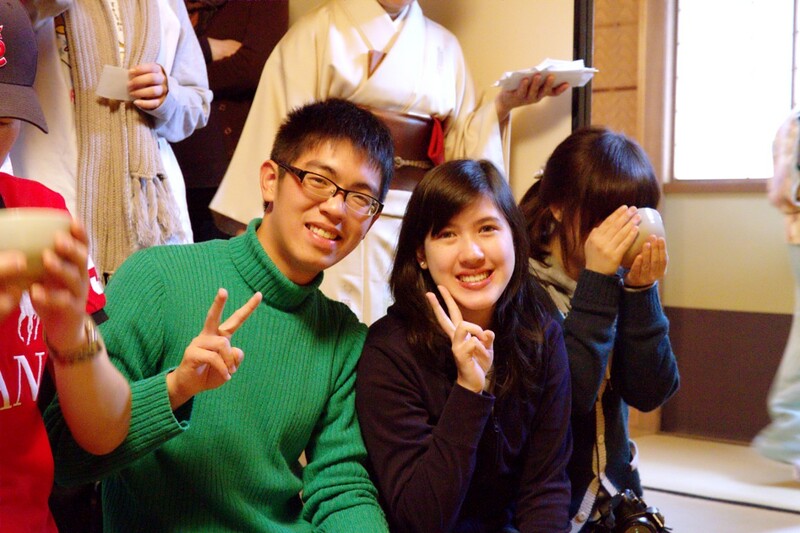 It looks like everyone was having a good time. 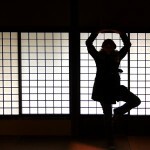 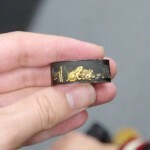 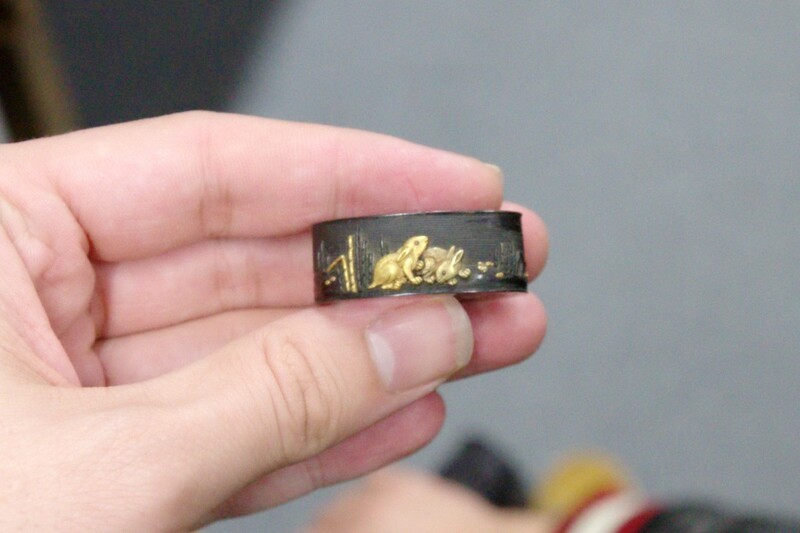 Love the photoblog and details of your trip. 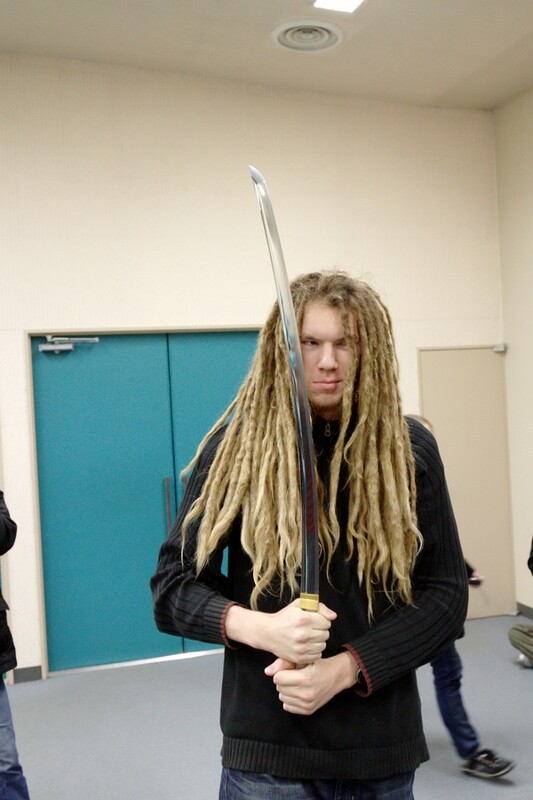 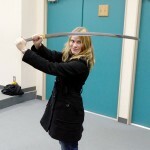 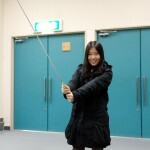 and I love the Katana’s. 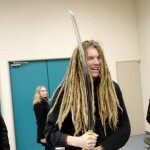 I have had a fascination with them for ages.